Last week I was in Scranton, PA, for a Senate Democratic Policy Committee meeting on job creation and regional economic development. It was a good session because we got a chance to hear from job creators in Northeastern Pennsylvania and to talk about workforce development, the new Innovate in PA tax credit program and the Senate Democratic Caucus’ plan to create jobs. Our program is called PA Works Now and you can find more information about it at www.pasenate.com/pa-works-now. I learned a few things and intend to continue to do all I can to increase employment opportunities in Philadelphia and throughout the commonwealth this session. As always, if you need help, don’t hesitate to call my district office at 215-952-3121, e-mail me at farnese@pasenate.com or visit us at 1802 S. Broad St., Monday through Friday, 9 a.m. to 5 p.m. Take care and I’ll see you at the Columbus Day Parade this weekend. The School District of Philadelphia’s new website, AskPhilaSD.org, can help you find answers to some of your most frequently asked questions. It’s easy to use and is regularly updated. If you can’t locate your question or need further assistance please feel free to call 215-400-4000 or email the district at ask@philasd.org. 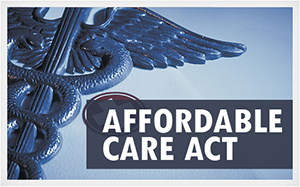 Despite having a few kinks yet to work out, you can now apply for health insurance under the Affordable Care Act at www.healthcare.gov. The full federal program goes into effect on January 1, so now is the time to visit www.healthcare.gov to find the right plan for you and your family. It’s an easy process that only requires you to enter your household income, monthly budget, Social Security number and health care needs. To learn more call 1-888-475-6186 or visit www.healthcare.gov. It’s going to start to get cold again, so think about weatherizing your home for winter. Philadelphia’s Energy Coordinating Agency (ECA) will begin to offer free weatherization workshops to area groups. During these sessions, a trained professional will show you how a few simple changes can save you money and make your home more comfortable all year long. The workshops are supported by the City of Philadelphia’s Office of Housing and Community Development and the Philadelphia Gas Works (PGW). Once the sessions are finalized more information will be available at www.ecasavesenergy.org. If you worry about the rising cost of higher education, think about contributing to a Pennsylvania 529 Guaranteed Savings Plan. Once enrolled, you will be able pay for tomorrow’s state tuition at today’s prices no matter when or how much tuition increases. Contributions to PA 529 plans are deductible from Pennsylvania income taxes, grow tax free and, when used for qualified educational expenses, are federal and state tax exempt. More information is available at PA529.com. If you have questions, need a form or want assistance in filling out the enrollment application call 1-800-440-4000.